Innsbruck is an ideal base from which to explore Austria's lovely Tirol region. If you like hiking, climbing, nature walks and swimming in freshwater lakes, the Natterer See camping park is the LUX-camp for you. Don't delay; make your booking today, before every mobile home is rented out to fellow campers! Why should you go on a camping holiday in Tirol (Innsbruck)? Camping holidays near Innsbruck are only moments away from the Nordkette range, which rises 2,000 above sea level. This is Johanna Spyri's "Heidi" land, where alpine pastures are dotted with happy brown and white cows, their cowbells chiming in tune with their chewing of buttercups and daisies. Innsbruck Old Town is a stunning blend of medieval and baroque architecture; don't miss the Habsburg palace or the cathedral! Staying in a LUX-camp here, means being ideally placed for visitor attractions like Olympia Ski World Innsbruck, Tyrolean folk shows in colourful traditional costumes and the magnificent Goldenes Dachl & Museum, its golden roof decked out in 2,657 fire-gilt copper tiles in honour of Emperor Maximilian I. This dog- and family-friendly holiday camping site is directly by the lake, surrounded by snow-capped peaks and pine forests. Boasting its own restaurant, Natterer See Campsite's location allows campers to explore the Tirol on foot, by car or cable-car. An abundance of hiking trails lead directly off the site into the mountains and forests. Children have their own section for secure swimming and games, with a waterslide and water trampoline for extra fun. 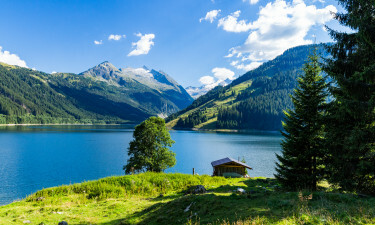 Being landlocked, the Tirol doesn't boast beaches, but there are plenty of large bodies of water like the Natterer See, where families on a camping holiday can enjoy water sports like surfing, canoeing, kayaking, sailing and swimming. 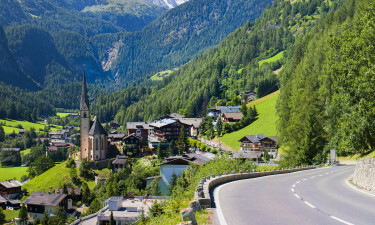 With bike hire it's easy to get around, or you could don a pair of hiking boots and tackle the steep inclines of the Tirol. There’s hundreds of kilometres of trails for hikers to explore. AlpenZoo with 140 animal species of the Alpine region is just a cable-car ride away from this LUX-camp. Schwazer Silberbergwerk (silver mine), 500-year-old Castle Tratzberg, Swarovski Crystal World and the Tyrolean Regional Museum and Austrian Art Museum are just some of the many tourist attractions available within a short drive. And if you're still energetic after all that, why not enjoy The Sound of Music in its original setting in an Austrian theatre in Innsbruck or Salzburg? 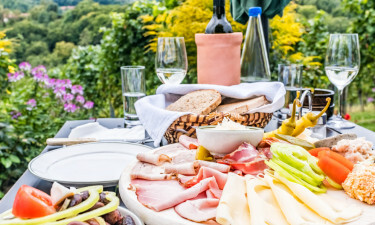 No luxury camping is complete without trying the holiday destination's regional food. The Tirol takes its culinary influences from neighbours Germany, France and Italy. For the very hungry, there are pans of Kaiserschmarren, a sweet mixture containing vast numbers of eggs, icing sugar and cinnamon. Or the Tiroler Gröstl, a hearty dish made essentially from left-overs with smoked bacon lardons, onion, potatoes and seasoned with caraway seeds, sweet paprika and chopped parsley.